Mekong Delta is noted as the largest rice basket in Vietnam where the images of rice paddies as well as lush orchards of bananas, coconuts, mangos, pineapples, and oranges can leave you spellbound at first sight. Taking a boat trip to the heart of Mekong Delta brings you a good chance to gain the clear sights and sounds of this area. Along with getting homestay experience and mingling with the rustic lives of indigenous locals here, there is no reason to overlook several famous traditional handicraft villages in the delta. These areas are not only where sophisticated and aesthetic hand-made products are created, but also remain prominent cultural characteristics of the watery region. As one of the most stunning tourist attractions in Mekong Delta, Kien Giang has gradually developed the tourism, thanks to its favorable seascapes and cultural richness. And a trip to the province will be incomplete without a visit to Phu My weaving village. 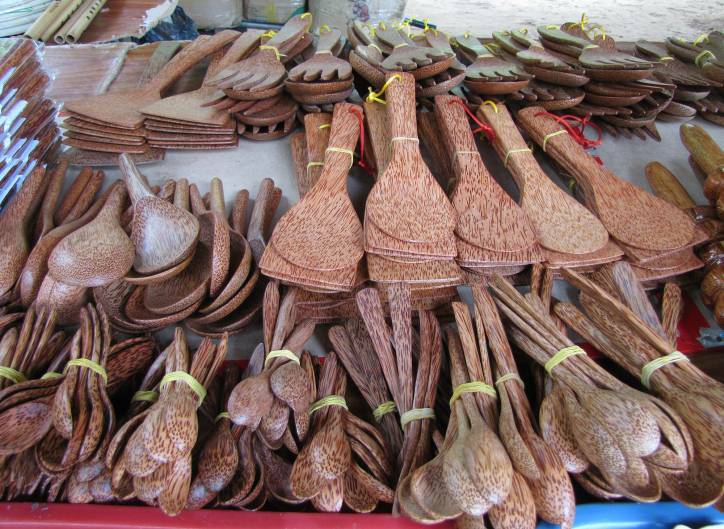 The village gets its name noted as one of the top-ranked traditional handicraft villages in Mekong Delta, due to a wide range of excellent handicraft products totally made from lepironia. Coming to here, your eyebrows will be raised by many different lepironia products with various sizes and shapes, such as bags, purses, handbags, hats, gif boxes, stationeries, etc. Especially, those products are also beautified with picturesque patterns and interesting decorations, making them more meaningful and valuable. To admire the artists’ effort and support their economy, do not hesitate to buy one of favorite as a lovely gift for your beloved ones. Sound nice, huh? Situated at the heart of Mekong Delta, Can Tho is where tourists may eat white grain, drink clean water, as well as see beautiful girls. That’s why the region often appeals to the large number of visitors every year. 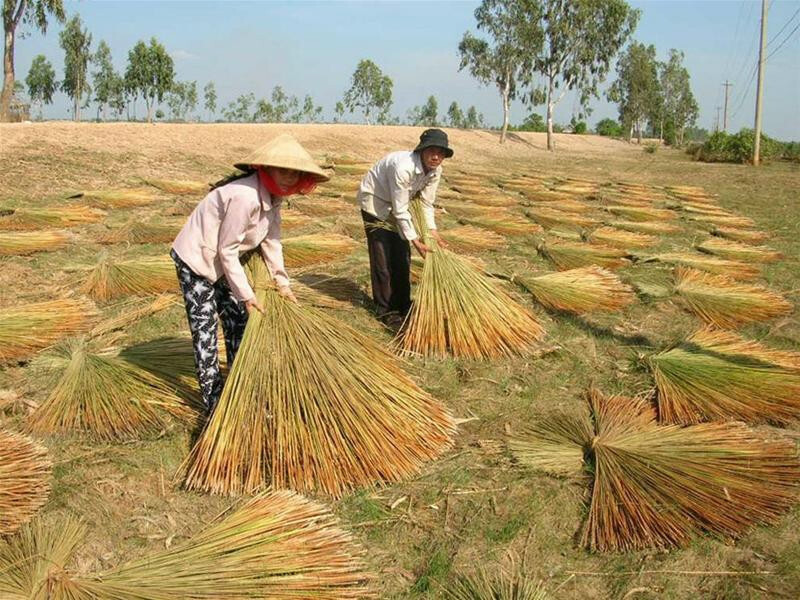 In addition, its reputation is also accentuated by a well-known traditional conical hat village, located in Thoi Tan A Hamlet, Thoi Lai Province, Can Tho City. Though the village is not as popular as Hue conical hat making village, it still has its own uniqueness and essence. At first, making conical hats was simply secondary jobs that contributed to women’s budget in free time. Later, such the jobs have become the main jobs in the village as they help people earn much money for living standards. Conical hat products here are not only eye-catching, but also durable. This is one of the main reasons why these hats are always favored by the locals and visitors. Since the ingredients for any hat are carefully picked, along with the cleverness of the artists, you can just feel their effort and skills in each of the complete conical hats. When it comes to Ben Tre province, it seems to be a big mistake in missing coconut trees. Taking advantage of potentials from coconut trees, residents here have introduced a lot of products with special features of the province. And the appearance of coconut handicraft village does make their dream come true. On the whole, products of handicrafts made from coconut trees, i.e. coconut shell, coconut wood, fibers, scrub, leaves, shells and so on, have become the famous and popular sights in the eyes of visitors. 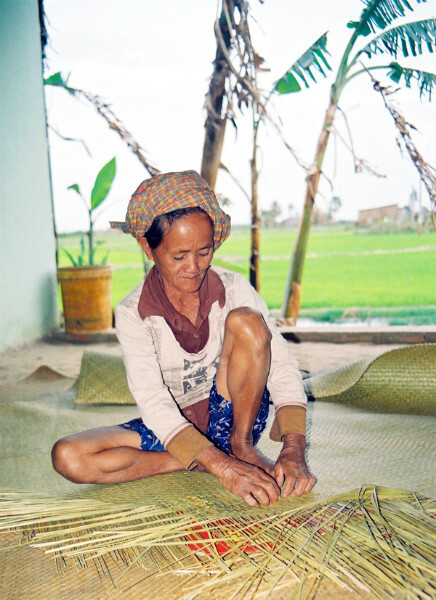 The development of coconut handicraft village in Ben Tre does not only create economic profits and jobs for local workers, but also preserve the value of the area’s unique traditional culture which has been downed from generation to generation. Any meaningless piece of coconut materials can be magically turned into fine and charming items, under the skillful hands of artists, such as human face statuettes, animal statuettes, and so on. If you have an opportunity to drop by Dong Thap in any beautiful day, don’t forget to visit Ba Dai boatyard village in Lai Vung. 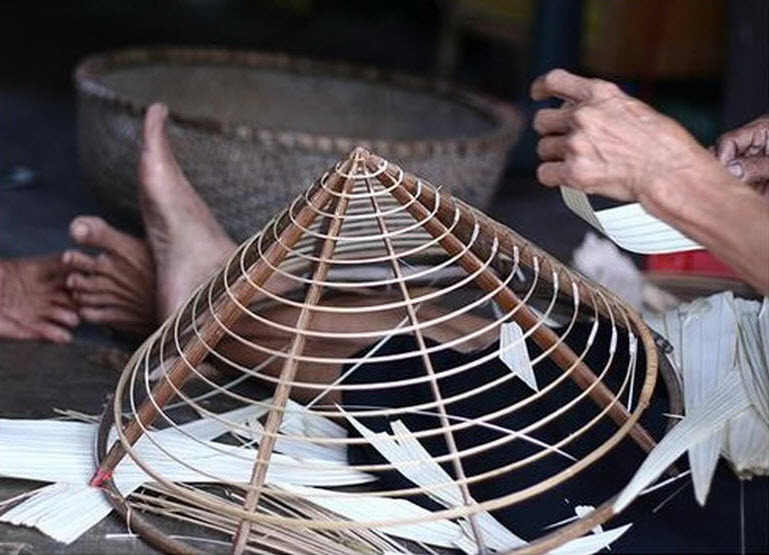 Pham Van Thuong – the father of this handicraft village – specializes in making long-lasting junks and boats. Like other crafts, making junks also require workmanship, cleverness, as well as skills so that the products are nicely and durably made. The complete boats should also spend a lot of important steps. In general, there are more than 200 families that are expert in this job. 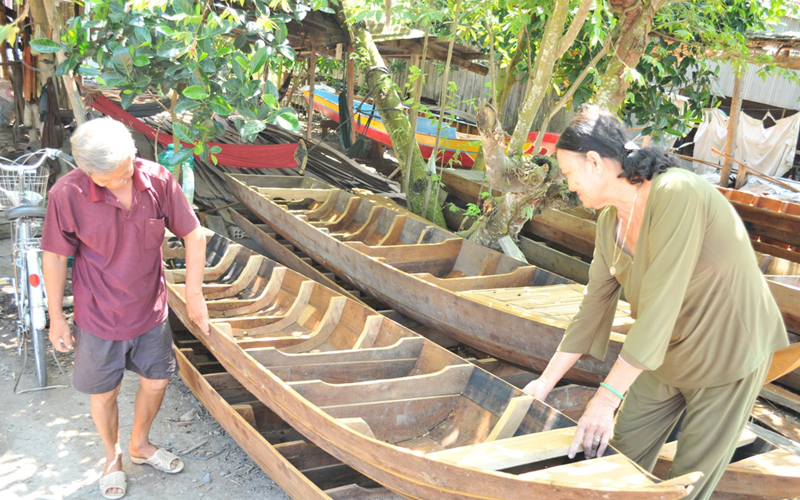 Every year, the district supplies about 10,000 junks boats for the domestic market. Among them, Ba Dai boat stands out as a popular and credible brand in Mekong Delta. A number of buyers put their trust in its high quality and nice appearances. The village contributes to remaining and developing the cultural value of Dong Thap in particular and the Southwestern region in general.